Evogene (NASDAQ, TASE:EVGN) has established a new subsidiary, Canonic, to develop next generation medical cannabis products. Evogene has been evaluating the medical cannabis field for more than a year, including market evaluation, obtaining governmental approvals for its research program and the establishment of a research facility, technology assessment and initial product line planning. Canonic’s initial activities will focus on creating improved cannabis varieties by addressing the current developmental roadblocks of yield, stability and specific metabolite composition based on the utilization of Evogene’s broadly applicable leading computational predictive biology (CPB) platform, which has in the past demonstrated success in addressing similar objectives for other crops. Although the cannabis market is growing rapidly, it is well recognized that next generation products will need to address the current limitations of low metabolite yield, causing high costs for patients; low variety stability, causing inconsistent products that have become unreliable as a medical treatment; and uncertainty in connecting cannabis metabolite profile to specific medical indications. 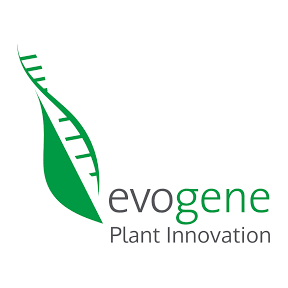 In a statement, Evogene said it is uniquely positioned to provide a significant competitive advantage in the resolution of these development roadblocks through its CPB platform and its recognized capabilities as a leader in the area of plant genomics. Ofer Haviv, Evogene president and CEO, said with the establishment of Canonic, Evogene expects the new company to advance rapidly in executing its mission of developing next generation medical cannabis products and to create substantial value in a relatively short time. “This expectation is based largely on Evogene’s capabilities in plant genomics and computational know-how that will allow Canonic to uniquely address the major challenges in this large and rapidly growing field,” he added.